Welcome to Bear Lake Trailer Sales, Your Source New & Used Cargo, Horse, Stock and Utility Trailers in Idaho, Utah, Wyoming, Montana, Colorado, Washington, Oregon & Western Canada. Need wood fencing, utility poles or logging services on your private property? Cat & Dog Boarding, Grooming, Retail Supplies, Premium Pet Food, Daycare and Training. Need someone you can trust to take care of your horses and other animals while you are away? We're ON-CALL for your animal's personal care! I have piglets for sale year round! Give me a call if you are interested in raising hogs for 4H or for your own freezer! "If you give your horse what it needs, it will give you it's heart in return." Polylast™ SurfaceGuard with Microban® Antimicrobial Technology (Polylast™) is a patented and proprietary non-slip surface made from 100% recycled rubber combined with U.S. primers, binders and finishes.﻿ Available in 11 colors and a great product for stable floors, horse trailers, vet offices, dairy barns, chutes & alleys, gyms, garages, decks, pools, commercial buildings and a variety of warehouse & packing facilities! The possibilities are endless! Year around activities available. Cabins can be rented by the day/night to those interested in other activities around the valley. Fishing at the Chesterfield Reservoir, visiting the Historical Chesterfield townsite or swimming at the world famous Lava Hot Springs (only 21 miles away from the cabin). A genuine Western Wyoming experience. Open Yearly May-October, Horse Hotel, Stalls w/Runs and Outdoor Pens. Hot Tub & BBQ Grills and a Deck w/Firepit. 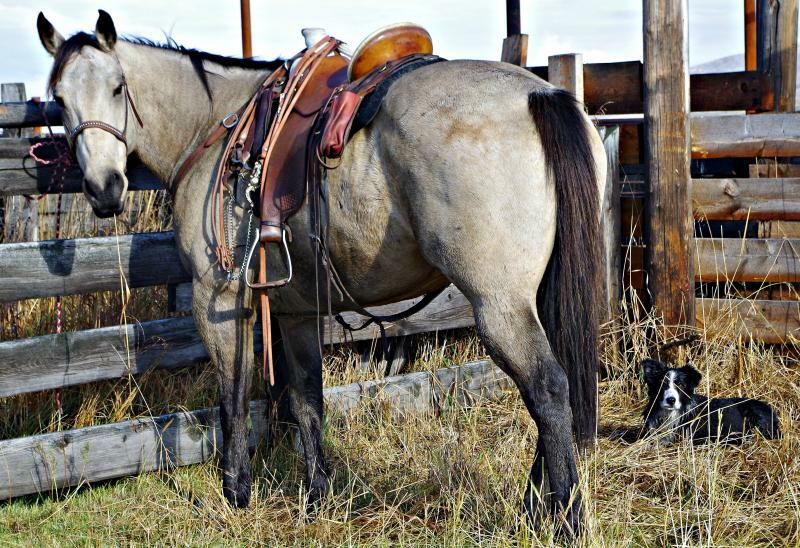 Day to day activities also include roping, driving cattle to new pastures, fence mending and never ending odd jobs, all of which maintain the integrity of the herd. Open Mid May thru the first of November.